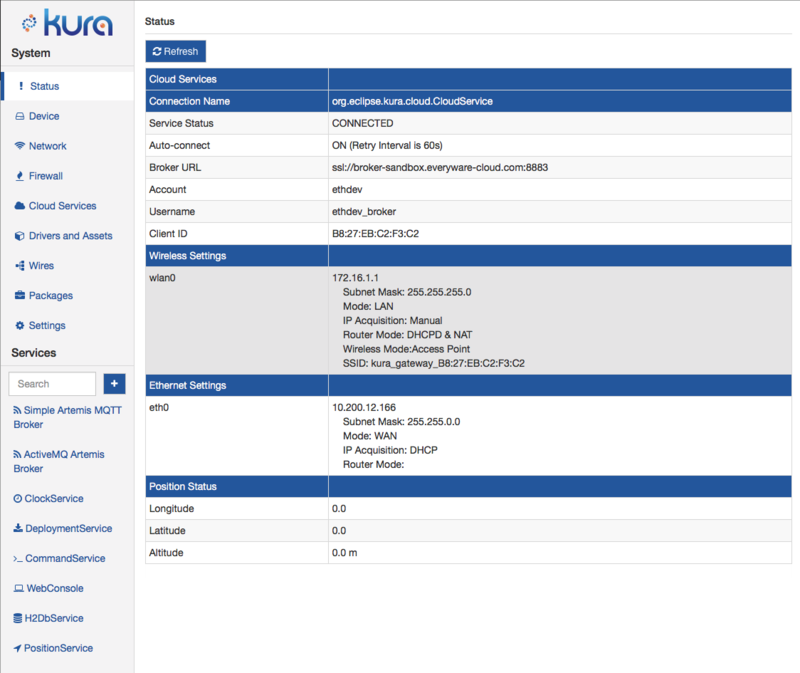 Eclipse Kura™ is an extensible open source IoT Edge Framework based on Java/OSGi. 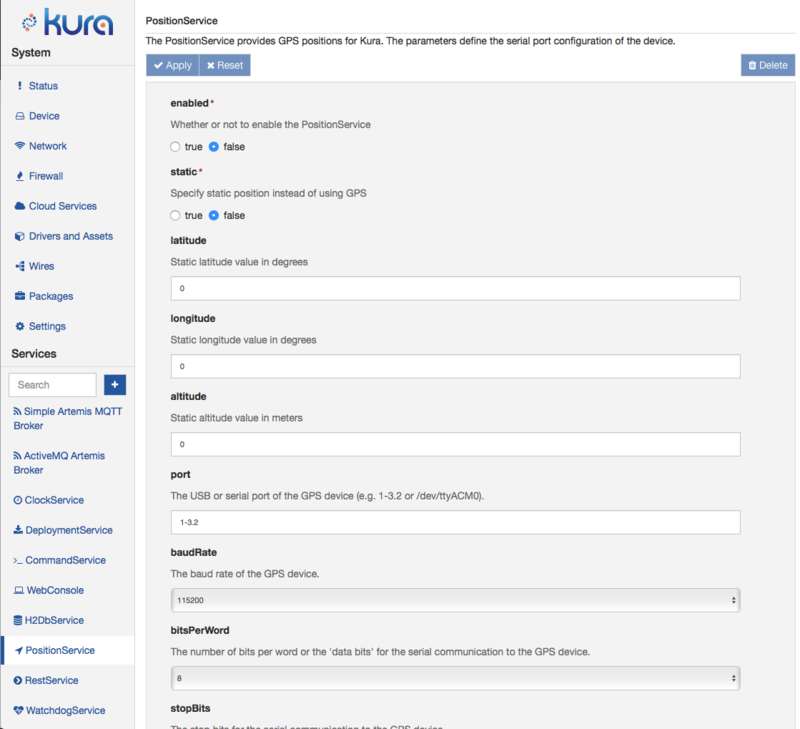 Kura offers API access to the hardware interfaces of IoT Gateways (serial ports, GPS, watchdog, GPIOs, I2C, etc.). 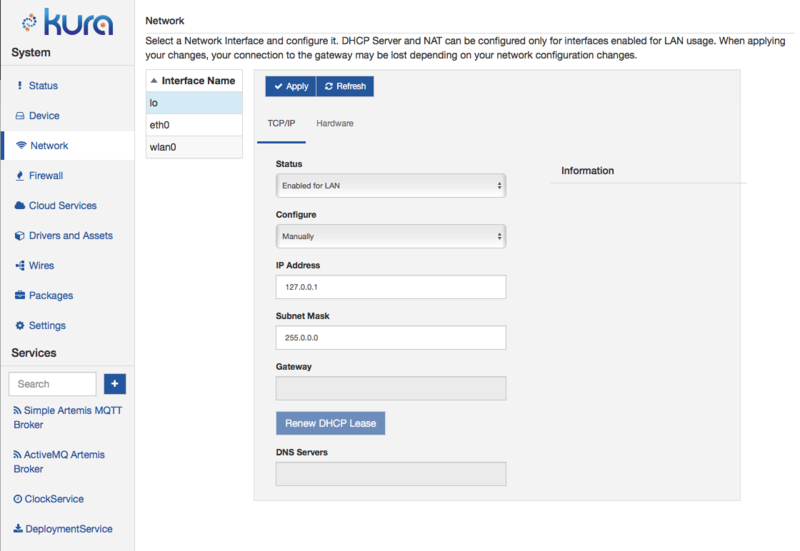 It features ready-to-use field protocols (including Modbus, OPC-UA, S7), an application container, and a web-based visual data flow programming to acquire data from the field, process it at the edge, and publish it to leading IoT Cloud Platforms through MQTT connectivity. Eclipse Kura 4.1.0 M1 is available for developers! Eclipse Kura 4.0.0 is now available for download! For other platforms, please refer to the Documentation Page. 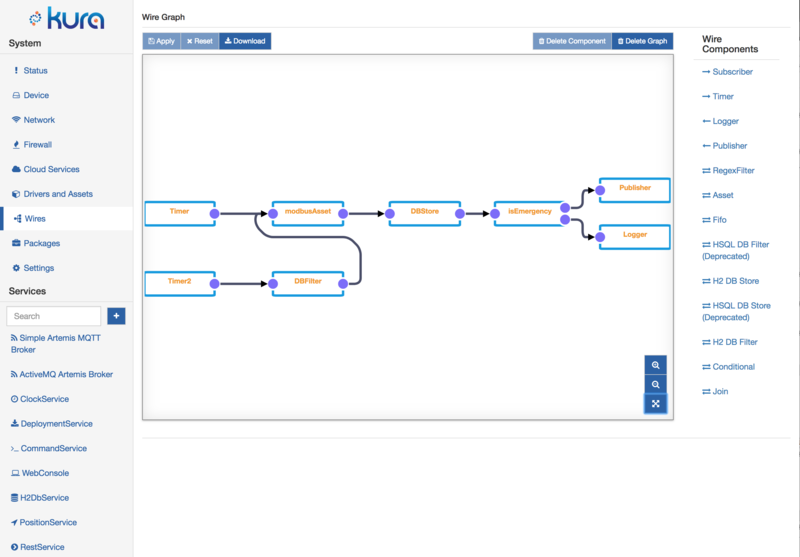 Use Wires to visually connect your sensors and PLCs using a friendly web UI for data capture, processing and publishing. Develop new Components and Application, Drag-and-Drop new modules from the Eclipse IoT Marketplace.